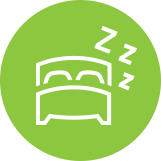 ResSleep's mission is to provide patients with easy access to a Medicare approved snoring and sleep apnea test facility, followed by the best available snoring and sleep apnea solutions. Our Dentists and Therapists only fit patients with a medical grade snoring device or a CPAP machine that will provide long-term quality of life. For its first five years, ResSleep was an independently owned company that was formed with the vision of creating a national franchise network, providing superior sleep apnea solutions or a snoring device to broaden patient access to sleep apnea test facilities supported by Sleep Physicians, GPs and Dentists. In October 2009, ResSleep acquired ResMed's Australian retail business, namely the ResMed Centres for Healthy Sleep, a division with over 15 years experience in treating sleep disorders through a snoring device that combats the symptoms of sleep apnea. This acquisition allowed ResSleep to concentrate on providing seamless, quality patient services while ResMed continued to focus on developing highly innovative, world-class technology. The arrival of ResSleep is a positive step towards advancing the professional standards of patient care and snoring and sleep apnea solutions in Australia, from an easily accessible snoring and sleep apnea test to long-term patient compliance. On the 1st December 2014, ResMed Asia Pacific Ltd (ResMed) acquired ResSleep. ResSleep is currently a subsidiary of ResMed. Sleep disorders affect millions of people in Australia, however, awareness is low and up to 90% of people with snoring disorders and sleep apnea remain undiagnosed and untreated. ResSleep's goal is to collaborate with like-minded Sleep Physicians and reach the undiagnosed 90% of people suffering with sleep disorders, offering them a seamless pathway from a sleep apnea test to a CPAP Machine or snoring device, leading to long term snoring and sleep apnea solutions for an improved quality of life. Alongside Sleep Physicians, we will execute field activities to educate the general public, GPs and other referring doctors so that more people will undergo a snoring and sleep apnea test and treatment with a snoring device or CPAP machine to combat snoring and OSA. ResSleep plans to expand its national franchise network of sleep clinics, providing the most professional, premium snoring and sleep apnea solutions and treatment service for patients with snoring and sleep disorders.